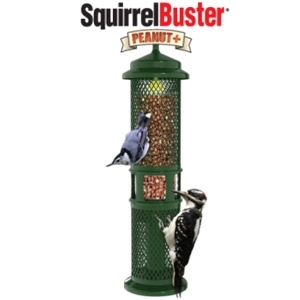 Squirrel proof, holds 3/4 quarts of shelled peanuts or wild bird bird nuggets. Weight adjustable to help control unwanted birds. Woodpecker friendly. Chew proof, comes with a 2-year, hassle-free warranty.